If you have found the property of your dreams, and you have permission (if required), you can start your purchase process. First of all, you'll need to sign a preliminary contract, which assures you that the owner will really sell you a property. If you want to be able to execute your buyer's rights in court you should notarise the agreement. Date: You must know the date of signing the final contract and transferring the property rights. Detailed data about the seller: Knowing the seller's name and surname is not enough – the preliminary contract should include the PESEL (identification number, specific for every Polish citizen) and NIP number (tax number). You should also compare this data with the seller's ID. You have to be sure that the property you're buying is either owned singly or jointly with a spouse. If it is owned jointly, you sign the contract with the couple (who is treated as one seller). Property details: You need to know exactly what you are buying – either odrebna wlasnosc lokalu (you own this property) or spółdzielcze własnościowe prawo do lokalu (you have all the rights to this property, but you don't actually own the title). If you're buying a flat with cellar or garage, it must be listed in the contract. Seller´s statement: This is a statement that property has no legal drawbacks (e.g. mortgage or preliminary contract with another buyer) and a declaration about the real estate's condition (e.g. leaking roof or unpaid bills). 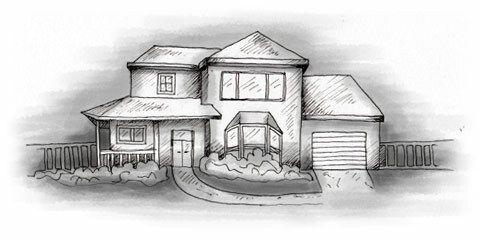 Buyer´s statement: This is a statement that the buyer knows and accepts the property's condition. It often contains the declaration that the buyer has enough funds for the transaction (in this way the seller won´t have to return earnest if the buyer´s loan is refused, for example). Exact price: You must be sure that you know what you are paying for, e.g. if the price covers garage or if you need to pay extra for it. Retainer or earnest: Remember that according to Polish law there is a difference between zaliczka (retainer fee) and zadatek (earnest payment). In both cases, these payments will go towards the final purchase price, but if the contract defaults the money may go to different people. If you pay zaliczka while signing a preliminary contract, you will get it back if the transaction isn't processed because of yours or seller's fault. In the case of zadatek, you will lose your money if you don't finalize the transaction, but if it's seller's fault you will get it back doubled. Remember – the higher zadatek you pay, the less likely your seller will be to disengage. The additional costs for notarising your transaction vary depending on the value of your purchase and are usually between 0.5% and 3% of the purchase price. Additionally, you have to pay 22% VAT for notary services. There is a legal maximum which a notary can charge, but take into account that you can always bargain to decrease the price. If you need help counting all the additional expenses, you can use a cost calculator . The final contract between you and the seller must be signed in a presence of a notary, otherwise it is invalid. This contract transfers the property rights from the previous owner to the buyer. However, banks normally need to see the contract before you can obtain the entire sum of your loan, which means you have to sign a contract without having all the funds. In this case, the seller secures himself with a statement saying the buyer is liable for a bailiff's warrant of execution if he won't pay all of the money. The last step is to change ownership at the land registry in the local court. Note that if you don't have permission to buy a particular piece of real estate, your rights to the property can be denied in a court. Permissions: Who can buy property in Poland?